For more photos check out our Instagram! Looking for the Best Body Shop in Winter Park? 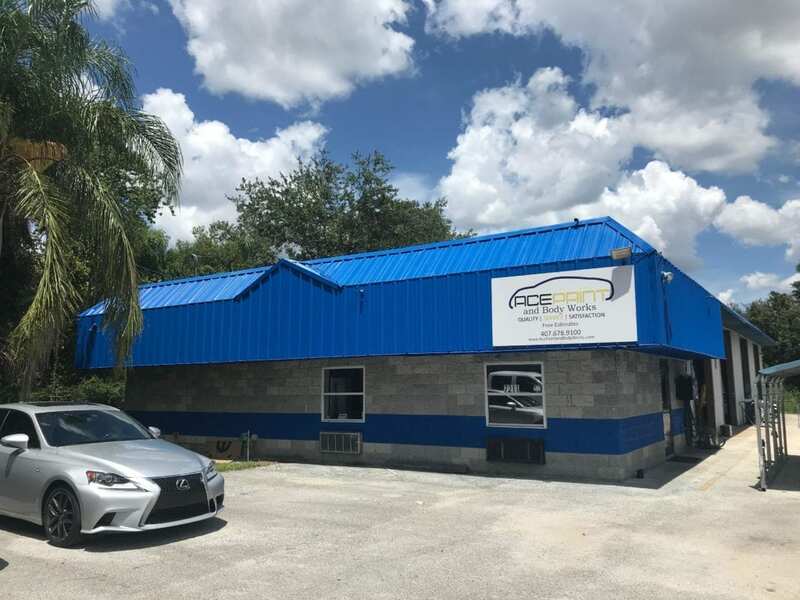 Need a Top Quality Body Shop in Winter Park? We can’t claim the Best Body Shop in Winter Park but people who have tried us, as well as other bigger corporate shops, say they prefer our family owned atmosphere with our personal touch. At other bigger shops you are simply a number, at Ace Paint & Body Works we promise to greet you by your name and remember you! We have been in business since 1995 so we believe we are doing something right! With a Lifetime Warranty, you can rest assured that you won’t need to worry about poor quality work. Have you called Ace Paint & Body Works yet? Ace Paint & Body Works is a Body Shop has been serving the central Florida area since 1995, we are 15-25 mins from the following cities: Winter Park, Casselberry, Orlando, Maitland, Kissimmee, Winter Garden, Apopka, Hunters Creek, Windemere, Lake Mary, Oviedo, Winter Springs, Lake Nona, Lee Vista, Altamonte Springs, Chuluota, Sanford, Conway, Milk District, Colonial Town, and Dr. Philips. Call us today! 407 678 9100. Address: 7211 Gardner Street, Winter Park, FL 32792. So you got into an accident. The insurance company has asked you to take pictures with your phone and send them off to them through their claims app. With these pictures they will formulate an estimate. While this seems quick easy and convenient, you’re potentially losing out thousands. Cameras have advanced so much in the past few years but they are nowhere close to the accuracy of the human sight or touch. Perhaps in a few more years they’ll be great but in 2019 we still have a long way to go. The problem with pictures is they don’t tell the whole story. There are times only the human hand can feel a small amount of damage that can only be seen at the perfect angle, as perfectionist we can’t ignore even a small amount of damage. Trust that Ace Paint & Body will look for every damage big or small. Never leave what you can do today till tomorrow. Famous last words and we’ll explain how that affects an auto insurance claim. 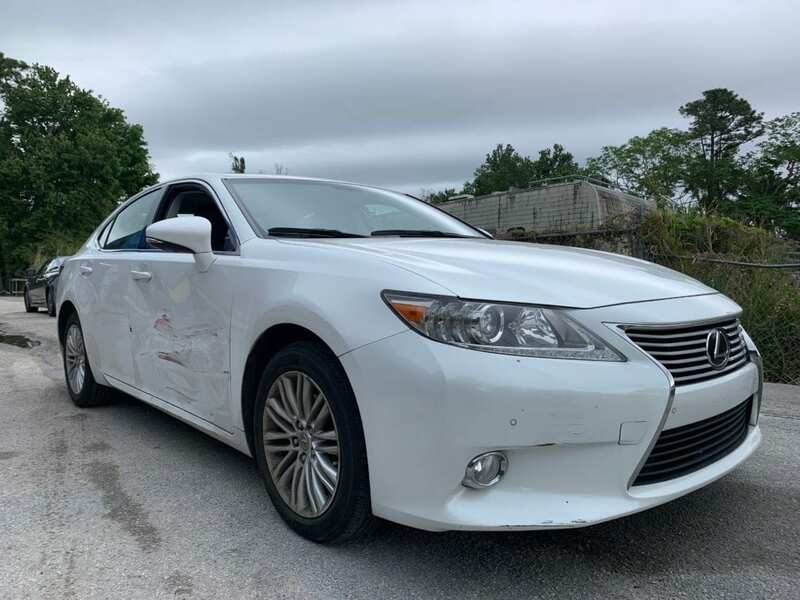 The fact is most people will cash the check with the intention to repair it later but not get it repaired and this costs you in several ways. First, imagine you had a $1000 insurance check and you potentially have $3000 worth of damage on your vehicle. If you never get your vehicle repaired you just lost out on that $2000 that was owed to you. Many time’s I’ve had people come in my shop with Auto Body repair job that may have been paid for with the initial estimate but now they don’t have the estimate, don’t remember the insurance company, don’t have a contact and now are stuck without enough money to get their vehicle repaired. They now must pay out of pocket for what the insurance company should have paid for. Anytime we get a big hit or even a small hit most likely there will be hidden damage. This hidden damage most likely won’t be on your initial estimate. For example, your bumper has been damaged, but behind the bumper, you have an absorber, you have sensors, you have an impact bar, which is mounted on the frame or body of the vehicle (which could also be damaged). This is where a supplement is started by the Auto Body Shop. In order to find the hidden damage, you must take your vehicle into the Body Shop and have them dismantle the vehicle with intent to repair. Parts are removed and inspected before they can be put on the supplement estimate. If you had an initial estimate done and you have a check for $1000 for damage’s you might be losing out on thousands from hidden damage. Take your vehicle to an Auto Body Shop like Ace Paint & Body Works in Winter Park and get all the money that is owed to you! 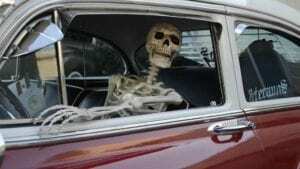 Turning into a corpse waiting for your car to come back from the Auto Body Shop? Did it take a lot longer than expected? We will try to answer these questions and show you how Ace Paint & Body Works in Winter Park decreases cycle time to get your car back as soon as possible. There are several factors that are involved when repairing your vehicle. The body shop is the intermediary between the claimant/insured and the insurance company. We have a job that must make the insurance company happy (do the Auto Body Repair that’s cost efficient) and also keep the insured/claimant happy with a repair done fast and not cheaply. It can be quite a challenge trying to keep both of our customers happy but we make it work. Typically if your car was towed to the body shop it will take some time to get it back to the road. The first step is to write up an estimate. There will be parts missing/broken, and though we have an amazing resource for all millions of parts that exist it can take quite a bit of time locating every single fender, nut, screw, clip that puts your vehicle back together. The industry standard can be 24-48 hours to write a thorough estimate. At Ace, we try our best to get the estimate done within 24 hours of the vehicle being dropped off. If an insurance company is paying for the repairs, we must have everything approved before we can move forward sometimes. The estimate is submitted to the insurance company for approval. It can take 48 hours or more for the insurance company to approve the estimate. Now we are already 4 days in and the repairs haven’t begun yet. A reputable body shop will fight on behalf of the claimant/insured behind the scenes to get what they are owed. At Ace, we have bargaining power because we educate ourselves on correct repair procedures. We could be going around in circles with the insurance company trying to get what your car deserves which is parts that work/fit, and are approved by your vehicle manufacturer. Now sometimes the insurance companies act as they know better than vehicle manufactures. We at Ace will have vehicle manufactures position statements that prove everything we do is for the safety of our customers. Some body shops don’t educate themselves and the insurance company will gladly pay less than what the vehicle requires in order to save themselves money because at the end of the day the responsibility of repairing the vehicle the correct way is on the body shop and not the insurance company. So the insurance company has approved the repair and now we must wait anywhere from 1-3 days for the parts to arrive. Now we are 5-7 days in and the vehicle has still been sitting waiting to be repaired. Many time’s we get new sheet metal parts that are damaged so now we have to return them and wait another 1-3 days. Day 8-10 and the vehicle can still be sitting. Of course, there are times we can work on the vehicle while still waiting for parts, and we won’t need to sit on the vehicle. At Ace, we will pre-order the parts before you bring your vehicle in if it’s still drivable to save us from any part delays. We have great relationships with local part dealers to give us the parts the quickest way possible. We also test fit parts prior to painting them so we don’t have issues after the fact, this extra step takes time but also saves a lot of time in the end. So the initial parts are here and we are starting to get into the actual labor of repairing, replacing, and repainting parts. This is actually the quickest part of the whole repair process, this can all be done within a few days depending on how big the repair is and how well educated and prepared the body and refinish techs are. At Ace, we train our employees so they stay up to date with I-Car repair procedures, the industry standard for Auto Body Repair information. You may have had an estimate that says 20 hours body labor and 10 hours refinish labor, that’s a total of 30 hours. The way the industry breaks down these hours is you should be spending at least 4 hours a day per vehicle. In this example 30 hours = 7.5 business days. An average shop will take 7-8 days to do a 30-hour repair, at Ace we will do it in 5-6 days saving you precious rental costs. Ace Paint & Body Works cycle time is above the industry stand in the Orlando and Winter Park area. There are times we must rely on outside vendors to help us get your vehicle back on the road. We organize, glass replacement, tire replacement, wheel repairs, wheel alignments, and painted pinstripes to outside vendors. We schedule these beforehand so we aren’t waiting around for outside vendors to show up. These sublet repairs can slow us down at times because we must rely on outside vendors who have their own schedules to fulfill but our scheduling system helps cut down the cycle time. Once we get into the nitty-gritty of repairs, we are getting into the supplement zone. A supplement is an addition to the initial estimate. Once we start removing quarter panels or other welded on parts, we start finding new damage. Now we must go back to step one of calling the insurance company for approval, we are now delayed another day or two waiting for approval from the insurance company. Once approved we need to order parts again and just like that, we just killed another week waiting on insurance and parts. We are easily in week 3 of repairs if it was a big hit. The way we get around this again is having great relationships with part manufacturers and insurance companies to get your vehicle back on the road quicker. These are all the challenges we face as a Body Shop. With so many variables involved in getting your vehicle back on the road, it can be challenging but we love the challenge and love putting smiles on our customer’s faces. We will work closely with your insurance company and we won’t allow your vehicle to sit longer than it has to. We will do everything in our power to get your car back on the road in a safe manner and as fast as possible without compromising quality. You may have heard of the term “blending” when getting an estimate, if it wasn’t explained correctly we will try our best to make sense of it. With today’s fancy metallic paint jobs it’s become increasing difficult to match paint perfectly unless you do a “Blend” panel. To put it simply when a panel of a vehicle is being painted and it’s close to another panel, the adjacent panel must be blended for paint match purposes. 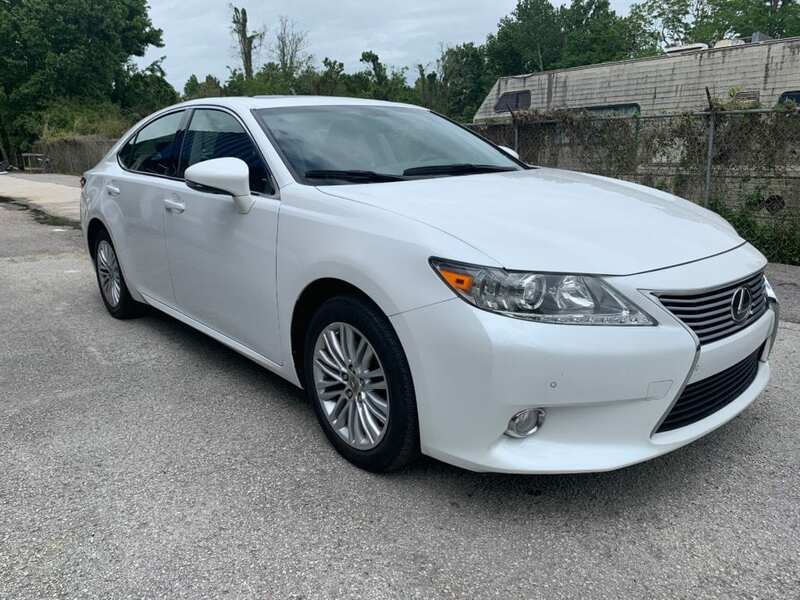 If a door is damaged all the way across the front fender and rear door would also need to be painted, not fully, but partially, which is what blending is. You partially paint the door fading out the paint so the human eye can’t detect a difference in the gradual color change. We’ve attached a picture to try to help you visualize what a blend is. At Ace we always recommend blending panels that are close to the damage, we will try to avoid it anytime we can to save our customers money but sometimes it can’t be avoided. We hope this helps you understand what blending is! 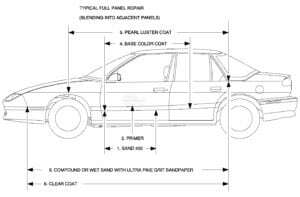 What you should know about the auto body repair process. Call us to set up an appointment to assess your vehicle with a free computerized estimate. 407 678 9100. Call your insurance company if you’re making a claim and either show our estimate to them or have them write an estimate if that’s their policy, just remember we can still add to their estimate once we take parts off and discover additional damage with a supplement. The insurance company may ask you to get an estimate at one of their “approved” shops, this is fine, just remember you’re not obligated to get your vehicle repaired by that shop, you have the legal right to take it to any body shop of your choice in Orlando or surrounding areas. Show us the insurance estimate and we’ll order any parts necessary first to limit the vehicle sitting and not being worked on while in the shop. If your vehicle is not drivable we can tow it in assuming we have the capacity at the time. Once all the parts arrive we’ll call you to set up a time to drop off your vehicle for repairs. When it comes time to drop off your vehicle we will walk around the vehicle with you and note any prior damage not related to the accident. We will take a picture of your mileage and gas level. We will give you an estimated time of when you could see your car. During the repair we will send you texts or call you to let you know how we are doing and if we found any additional damage causing any delays. During the repairs we stay in contact with the insurance companies making them aware of any additional time or parts needed to bring your car back to life. Please remember that there are several variables when repairing your vehicle which can involve several vendors from parts dealers to glass installers to insurance adjusters, we try our best to manage those relationships in a speedy manner but we cannot control adjusters who can take days to get back to us or parts we receive that are wrong/damaged, or on backorder and unavailable. Trust us that we will do our best to get your vehicle back to you in a timely manner. We will do a post repair check to make sure all the items on the estimate were completed. We will call you as soon as your car comes out of the free car detail. When you come to pick up your vehicle we’ll walk around the car with you one more time and make sure you’re happy with the repairs we performed. We’ll hand you a lifetime warranty and once you pay what is due you are free to go to enjoy your quality repaired vehicle. So you just got into a car accident. Stay calm, breath and everything will be ok if you take these steps. Call 911 first, you always want a police report no matter what because we’ve seen far too many times where people say they will pay for something out of pocket only to change their mind once they see a dollar amount. The police report can save you thousands. Call a family member or friend if you need additional assistance. Try to avoid additional danger by pulling out of traffic if possible preferably in a well-lit area. Turn the vehicle off and put your hazards on while waiting for help. If you feel you are hurt wait for help. Help others if you know how to and are able to also. If you’re mobile take plenty of pictures of the accident scene including any street signs visible. Talk to witnesses and take names, phone numbers, and license plates if you can. Have a body shop ready to have your vehicle towed to preferably Ace Paint and Body Works! Collect any personal items from the vehicle before your vehicle is towed. Talk to your insurance company and give them all the details of the accident.